Since the huge snowfall that came just after I arrived in the Pitztal, the weather and the snow conditions on the glacier have been really good. I have been concentrating on GS for the last couple of weeks. The glacier is literally crawling with national ski teams from all over the world. As well as the Austrian team, there are the national teams of Switzerland, Germany, Finland, Norway, Sweden and Korea. There are also 3 Irish racers here including my sister and me! Today I was skiing in the next lane to Lara Gut. 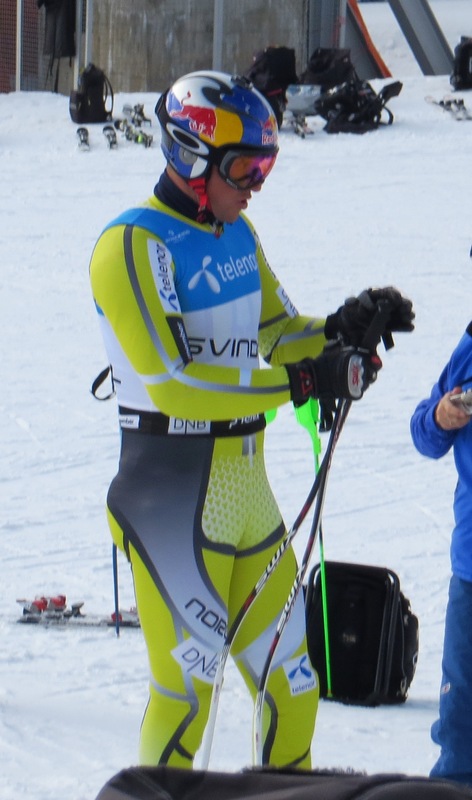 Yesterday, I caught the lift just behind Aksel Lund Svindal! This place is a haven for spotting skiing-legends. They are here training for the opening races of the 2013/2014 season; the GS races in Solden. From the top of the lifts on the glacier, here, we can see straight across to the race hill in Solden. I am looking forward to having Saturday off and travelling over to Solden to watch the women's World Cup GS race.